Our updated brand -- Second Cup Coffee Co. -- reflects a new independent spirit, a commitment to the world's finest coffee, and our vision to be the Canadian specialty coffee brand of choice, committed to superior quality, innovation and profitable growth! Multi-unit opportunities available. Delivering on our pillars of superior quality, community, creativity, collaboration and optimism, at every touchpoint. Being the Coffee Authority and the preferred destination for the best coffee, providing high quality, innovative beverages, products and experiences worthy of our brand. Delivering an inspiring in-café experience where customers come to us for our friendly, knowledgeable, skilled and passionate baristas, and our warm and inviting environment. Revitalizing our network to reflect our brand and neighbourhoods, and be in the best locations. Additionally, Second Cup Coffee Co.™ is committed to being a world class partner to our franchisees and investors. A proven track record in retail/restaurant or business management? A passion for coffee, people and bringing them together? A strong customer service background? The outgoing personality needed to deliver a superior experience to every customer, every time? A demonstrated ability to hire, train and motivate a team? If you can deliver on these attributes, Second Cup Coffee Co.™ will provide intensive management training and ongoing marketing and operational support. 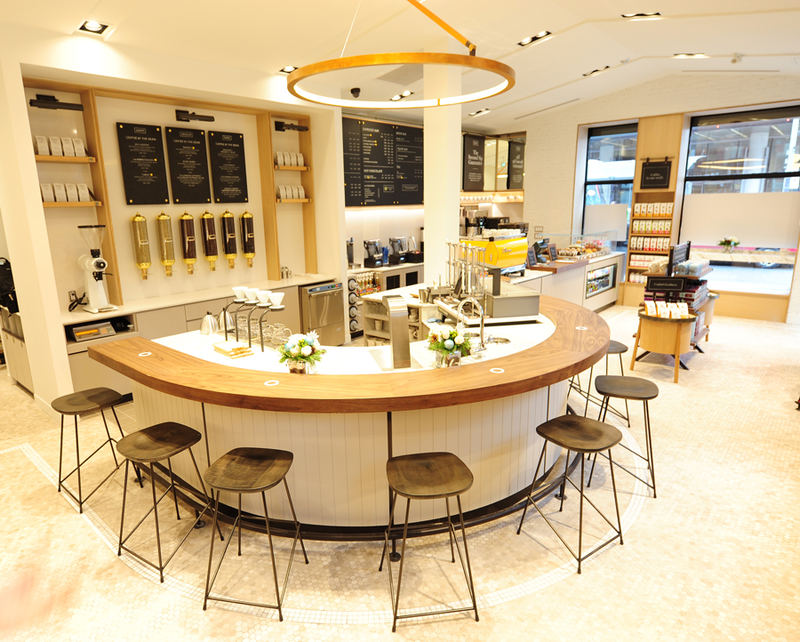 You can also look to us for product innovation and exciting developments in café design and customer service. Are you the premium blend we’re looking for? Second Cup Coffee Co.™ is seeking single unit, full time operators or multi-unit developers with a network of full time operating partners or managers. You must have the commitment, business savvy and proven people management skills to deliver on our brand vision to be the coffee brand most passionately committed to quality and innovation. At Second Cup Coffee Co.™ we distinguish ourselves on exceptional quality and service. Is this the business mantra you live by? Your total investment ranges from approximately $350,000 - $500,000*. To qualify, you must have at least 30% of the above total in cash plus working capital and funds to cover applicable taxes. *Costs vary by province, location, size, format and site conditions. Does not include taxes, working capital, inventory and other start-up costs. Royalties: 7.5% - 9% of gross sales (Franchisees must maintain operational excellence to qualify for the lower royalty rate).